A friend’s daughter, Jennifer, found there were some topics that were perfect for the larger extended family, but also felt a need to better connect with her husband and two sons. Between work, business travel, school, and other activities, they often did not even have time to eat dinner together, let along plan together. Jennifer decided to try family meetings with her “intermediate” family (those that live in the house together), which they started doing monthly. Her challenge at home was making sure that the meeting did not devolve into who did or didn’t do their chores—it was not intended to be a trip to the principal’s office. Having a special treat, time to catch up with each other, tell jokes, stories, stick to an agenda, and maybe occasionally who is not doing their chores, made up the generally hour long meetings. In the long run, they found that by doing monthly meetings with the smaller group, everyone was more receptive to the periodic big family meetings. They got into the practice of teaching and learning. So then when the big group met it was fun, especially for the boys, to show off their skills. 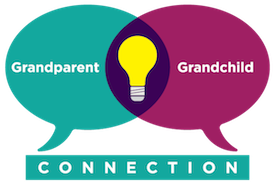 Even if you raised your own kids having regular Family Meetings, the three-generation model – like all triangular human interactions – comes with its own set of complications and rewards. Visit Jerry Witkovsky’s Website, Grandparents Unleashed.